Hair is such a defining part of us that when the hairline starts reseading or hair starts to fall out, we panic. Sadly factors like pollution, increased stress, tragic events and passing of time only contribute to our hair going from glossy and lush to sparse, as does our failure to look after the health of our scalp. You only need to compare your teen pictures to the pictures of you now to really notice a marked difference. While your diet, DNA and medical history play an important role in the health and ‘look’ of the hair, the products that you use to look after it, as well as your scalp’s ‘state’ can contribute to an improvement. 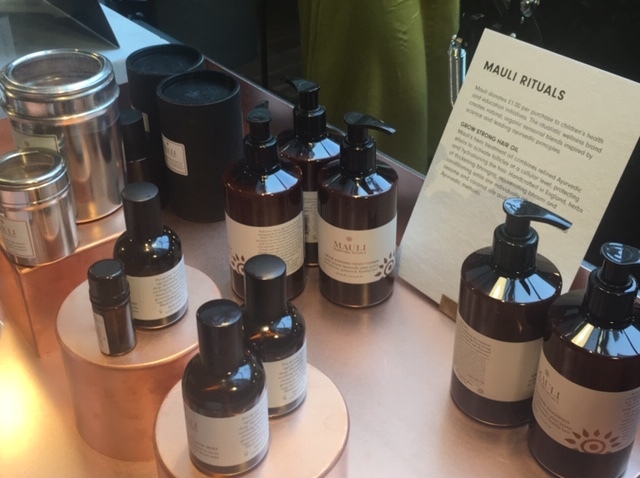 The people of India, according to Mauli Rituals co-founder Bittu Kaushal, have always used pure herbal shampoos, conditioners and treatments oils to nourish the scalp. 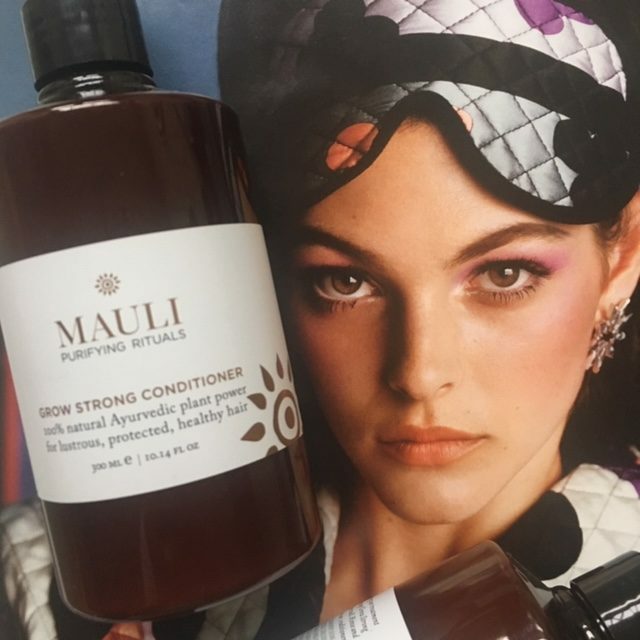 So newly launched duo, Mauli Rituals Grow Strong Shampoo and Conditioner, was developed to give you a helping hand in improving the health of your scalp and hair. All you need to do is to take action and be patient, as change, like improvement, take time. ‘In a bid to combat the impact of pollution, stress and ageing, we tend to shampoo hair and scalp with harsh chemicals, yet this only adds to the damage already done. I appreciate people stick to chemical laden products because they do give superficially good results, but I am proud to say, there is another way and we’ve bottled it for you. We want you to grow stronger, not on a surface level, but truly from within as that’s the path to real, lasting transformation”. Bittu Kaushal. 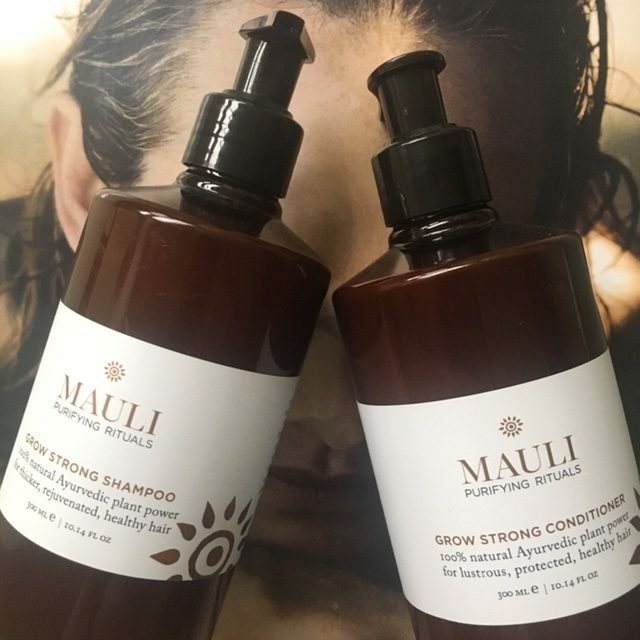 The Grow Strong hair duo comprises shampoo and conditioner and harnesses the power of Ayurvedic nutrients to help bring lack-lustre hair back to its former glory. 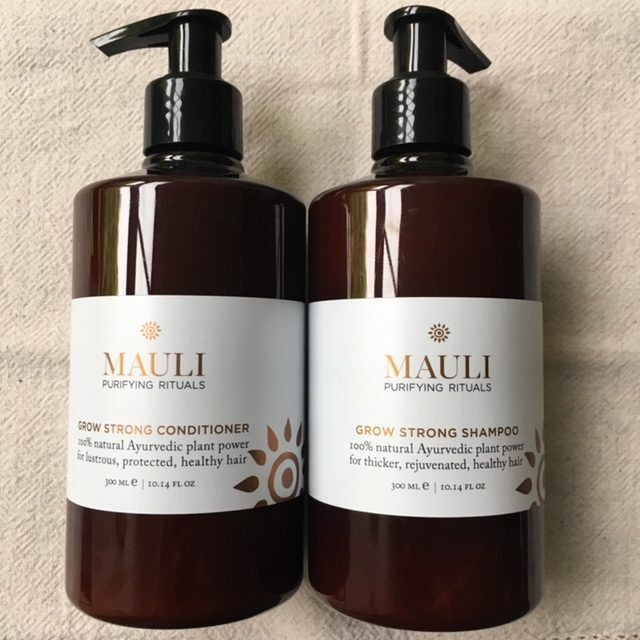 Mauli’s vitamin-rich, deeply cleansing Grow Strong Shampoo and nourishingly creamy Conditioner have been formulated with the healing Ayurvedic plants that have been used for many years in India and are known to counteract conditions like hair loss, thinning, greying and dullness. Husband and wife, as well as entrepreneurs, Bittu and Anita, founders of MR, have utilised plants and herbs in a time-honoured fashion with a sense of British refinement, offering you a rescue ritual for dehydrated and nurture-lacking scalp – after all, scalp is the fertile soil for the roots of our hair and its state contributes to how our hair grows and looks. The super-nutrients in the Grow Strong series include antioxidant-rich Ashwagandha, root stimulating Curcuma, naturally cleansing Shikaki, strengthening Brahmi and nourishing Amla, enriched with a beautiful blend of Holy Basil, Himalayan Cedarwood, Cardamom, Patchouli, Vetiver, Frankincense and Fennel for clean, strong hair and a calm, clear head. Ashwagandha increases scalp circulation, stimulates hair growth, prevents hair shedding and fights hair greasiness. Shikaki is a natural detangler with a low pH, which doesn’t strip hair of its natural oils. Recognised for its anti-dandruff properties and containing high levels of vitamin A, C, D, E and K, it helps promote quicker hair growth and shine. Amal (no relation to Clooney) contains ten times more vitamin C than an orange. This wonder-berry strengthens your lengths and conditions the scalp, relieving any signs of sensitivity. Brahmi actively prevents spilt ends, shawls hair with shine and encourages hair growth and strength. 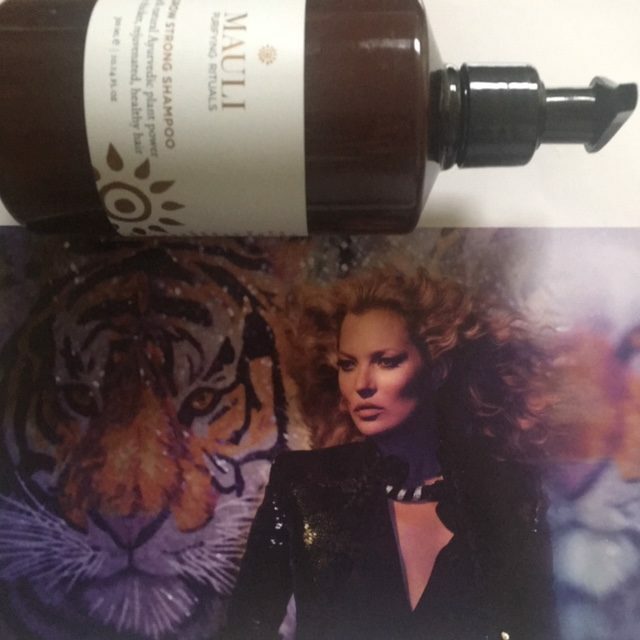 For best results, begin by applying Mauli’s treatment Grow Strong Oil ( or any other hair oil you might already have) as per instructions, then massage Grow Strong Shampoo into wet hair and lather well. Rinse and repeat, finishing with the Grow Strong Conditioner. TIP: If you are used to chemical shampoos, it may take a few washes before you truly notice the full benefits of Grow Strong, as a build of previous product residue begins to be cleansed away. My journey of exploring this hair & scalp nurturing range begin well. As my postman passed me the parcel containing shampoo and conditioner, his normally serious expression gave way to a smile, as he said: ‘Goodness, this smells really nice!’ When you hear that you can’t smile yourself, can you? As I opened the box, I was indulged not just by the wonderful scent, but by the visual appearance of the bottles – burgundy brown with black pumps, impactful branding and font, clear instructions and full list on ingredients. Both the shampoo and the conditioner have a distinctly flowery, uplifting scent, but using the shampoo will take some getting used to, if you and your hair aren’t used to ‘natural’ formulas. It has a low foam, compared to the mainstream shampoo, like say L’Oreal or Charles Worthington, because it is sulphate-free, so initially you will need to use more of the product. After using it for a couple of weeks you will get the hang of it. I tend to favour haircare from natural beauty brands like Josh Rosebrook, Weleda & Innersense, and on a few occasions have been known to borrow Child’s Farm from my daughter, but it did take me a few attempts to get to grips with using this particular shampoo in the right way, as on a few first occasions I ended up with hair that looked somewhat greasy once it dried up naturally. My tips would be to use a bit more of the shampoo to start with, massaging it gently but with real intention, it into your scalp, increasing the circulation, then making sure to wash it off more thoroughly than you normally would. You wouldn’t get a ‘squeaky clean’ feel exactly, but just wash it thoroughly and after trial and error, you will get it right. After that apply the conditioner to hair mid-length and to its ends, brushing it through with a simple brush that hairdressers normally use to separate hair strands when colouring or braiding you hair. Keep it on for a few minutes and wash it off, again taking the time to be thorough and then gently squeezing the water out of your hair. The reward for it will be the hair that feels fuller to the touch and does look like it has increased in volume visually and to the touch. 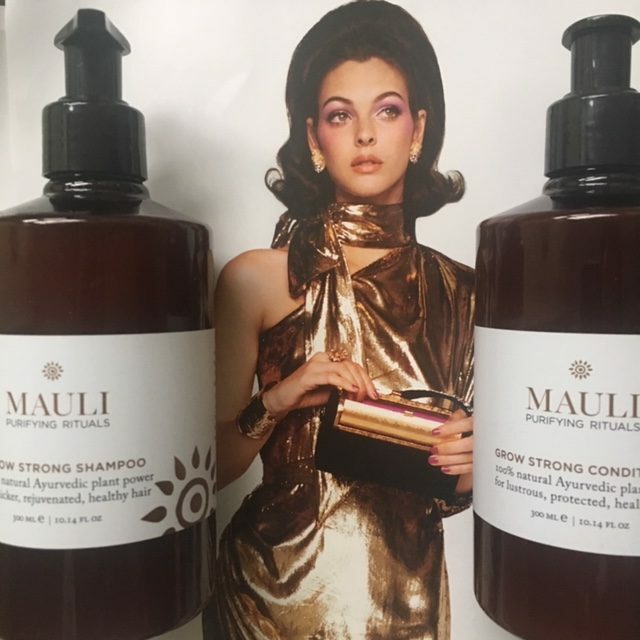 Mauli Rituals Grow Strong Shampoo and Conditioner are 100% natural, vegan, free from sulphates, parabens & synthetics and suitable for colour-treated hair. Shampoo: £34.00 Conditioner: £36.00 Size 300ml The bottles are generous enough to last you a couple of months at least, depending on how often your wash your hair.